Take a ‘Gardening Selfie’ today! BUT, there’s a reason why we choose to do this crazy thing, and it’s to highlight our 2014 fund-raising for Perennial, who are the Gardeners’ Royal Benevolent Society. They’re a unique charity who help people who work, or have worked, in the horticultural industry. The Perennial team can offer support to anyone, and cover a wide range of problems, from alzheimer’s to cancer. 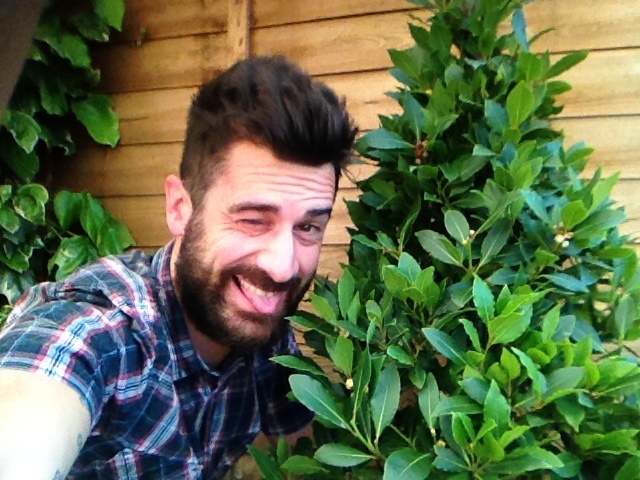 TODAY, we want YOU to take your own ‘GARDENING SELFIE’, but please don’t worry, you can keep your clothes on! However large or small your garden or patio may be, I want you to show me YOUR garden, and you must make sure you’re in that photo too! When you upload your photo to either my Facebook page (www.facebook.com/planthunter.uk), or tweet using the hashtag #gardeningselfie (you can find me on twitter too: www.twitter.com/gardening_greek), I would like to ask you to make a donation to ‘Perennial’ at the same time. We really hope we can raise £20,000 for this charity by the end of 2014; so even if you simply text donate a quid, that will help towards our target…! It is really easy to donate, you just need to text GRUB89 with your amount (e.g. £3) to 70070! Thank you! Don’t be shy, show off your gardens TODAY! Previous Post Why buy mail order plants off the telly, huh? Next Post How did I come to love plants so damn much…? ?